MENA Solidarity Network will publish an 8 page briefing on the role of women workers in the Egyptian revolution to mark International Women’s Day this year. Featuring interviews with activists from the teachers’ unions, health service, local government and media, it shows a hidden side of the Egyptian revolution. The stories told by the women in the briefing are only a small fraction of the hundreds of thousands of women workers who have been at the heart of the huge waves of strikes which have shaken Egypt since 2006, and which played a crucial role in the downfall of Mubarak. They are representatives of a new generation of activists in the workplaces and the streets who showed that ordinary people can still bring tyrants down. There are many questions which hang over the future of the revolution. Will these women find a way to translate the gains they’ve made in self-organisation in the workplaces into a stronger voice in the political arena? The contrast between the upsurge in women’s activism in the workplaces and the street and the small numbers of women elected to the post-revolutionary parliament is stark. And for the women activists who speak out in this briefing, the question of who the parliament represents is not just a question of gender. All the mainstream parties in Egypt are agreed that the workers’ strikes and protests must stop, and they have no alternative to continuing the neo-liberal policies which have forced millions deeper into poverty. This is why the ‘feminism’ of the old regime, represented by the dictator’s wife, Suzanne Mubarak, had nothing to offer Egyptian women workers. While she sat in air-conditioned conference halls discussing women’s rights, women like the activists here were fighting stop privatisation, cuts in welfare and education and for their right to organise and speak out at work. 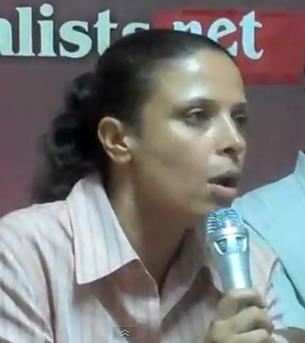 Hala Talaat is a member of the Egyptian Teachers’ Federation’s union committee in Giza. 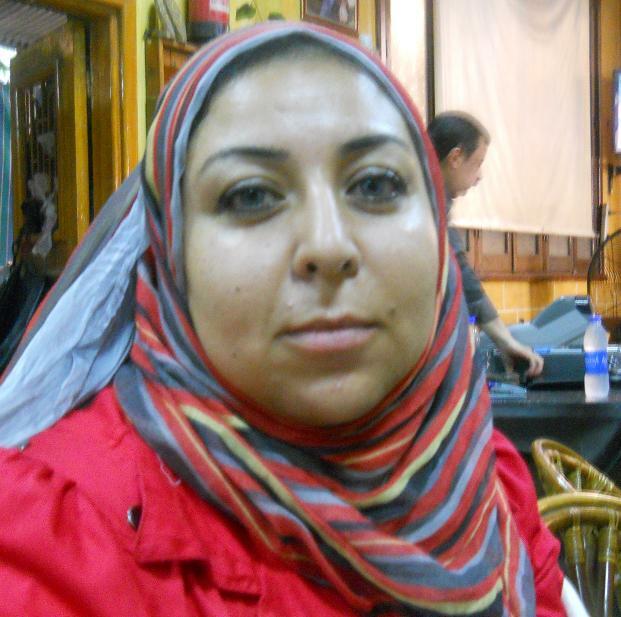 Dr Shima’a Mosallam is a founding member of the independent union at Abbassiya General Psychiatric Hospital, Cairo where she is a doctor. Read Hala’s and Shima’a’s full stories online here and here. Email menasolidarity@gmail.com for a copy of the briefing delivered to your inbox or for details of how to order hard copies for your union branch. March 10, 2012 in Campaign, Egypt, Union news.